The Roger Ballen Foundation is proud to announce an international photographic showcase, an exhibition of three world renowned artists Vik Muniz, Stephen Shore and Janaina Tschape. This is a continuation of the Foundation's education and exhibition programme that follows Stephen Shore's critically acclaimed workshop, lectures and exhibition in Cape Town last year. Not only will this exhibition mark the first time Muniz, Shore and Tschape show their work in Johannesburg, but will also treat us to many of the photographers' most iconic and important works. 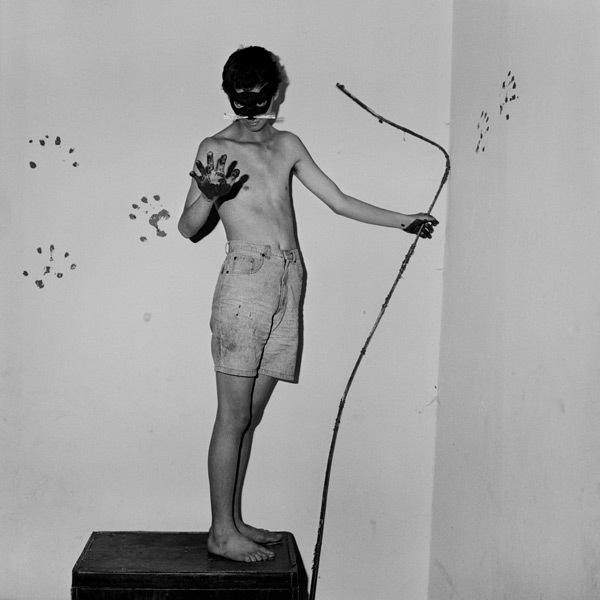 The exhibition opens at the Johannesburg Art Gallery in July and will mark the official inauguration of the Roger Ballen Foundation in Johannesburg. In addition, Shelley Rice, Professor of Art History at New York University will lead the educational programme. This will include seminars and public conversation focusing on art dialogue and photographic criticism. Organised in conjunction with Witwatersrand University and the Johannesburg Art Gallery, the Roger Ballen Foundation brings you a once-in-a-lifetime opportunity to participate and witness this exceptional photographic discourse. The three part photography exhibition and lecture series is part of the Foundation's larger mission to promote photographic education in South Africa by showcasing world-class photographers whose work has not yet been seen locally. Also included is an exciting educational programme mediated by Shelley Rice, Professor of Photography at NYU, in which photographers, students and the general public will have the opportunity to participate in lectures and workshops. The Roger Ballen Foundation recently announced the first solo exhibition in South Africa of Stephen Shore: Colouring American Photography, one of the icon's of colour photography at the Iziko SA National Gallery in Cape Town as a component of the Month of Photography 4. The show will focus on two of Shore's seminal series: American Surfaces and Uncommon Places, along with his more recent work including his ibooks. The exhibition will be complemented by a lecture series and workshop at the Michaelis School of Fine Arts, University of Cape Town; the workshop received additional support by the US Consulate General in Cape Town. Stephen Shore's early colour photography, from the 1970's, was some of the first colour photography to be included within the cannon of art. He was 14 when the Museum of Modern Art (New York) collected his work; he was the youngest person ever to have a solo show at the Metropolitan Museum of Art at the age of 23. His images are now seen as classic Americana; culturally rich images showing the tempo, palette and artifacts of the time and place. Although seemingly taken in a snap-shot style, deep reflection reveals that they are carefully constructed compositions. Shore has influenced countless contemporary photographers, from Andreas Gursky to Nan Goldin. The Johannesburg-based Roger Ballen Foundation is dedicated to promoting the education of photography in South Africa by developing programmes that further the appreciation and understanding of the photographic medium. It is the first institution of its kind to focus on bringing to South Africa international photographers at the forefront of their art. 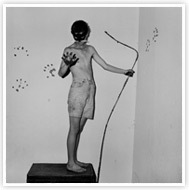 Ballen, internationally recognised for his psychologically haunting black-and-white images, often attributes the development of his own visual literacy to his New York childhood when he was surrounded by many of the great photographers of the day such as Cartier-Bresson, Kertesz, Steichen, Strand and Arbus. This experience made him appreciate the value of exposure to world renowned photographers and the desire to create a similar milieu for the South African artistic community. "Because we work with artists from around the world, our programme enables students and general audiences to engage with notable contemporary photographic art that would not otherwise be seen in South Africa" explains Ballen. "Each component of our series will focus on one important contemporary artist that uses photography as an integral part of his practice. It will include an exhibition and a lecture series to help expand the South African discourse on photography." The Shore show will be followed in May 2009 by a Vik Muniz exhibition, in partnership with the Johannesburg Art Gallery. A corresponding lecture series and master class will be presented in partnership with the Wits School of Arts.